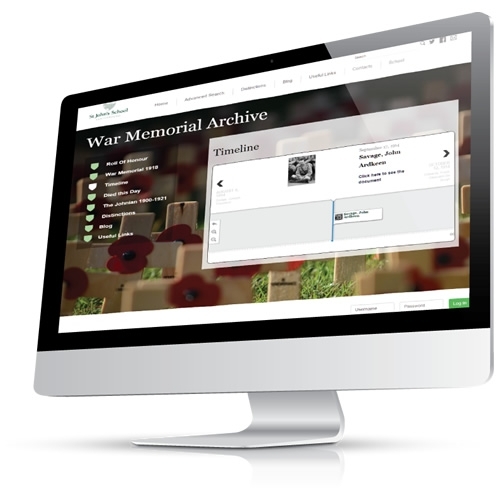 We offer a specialised document management archiving and database solution for schools who wish to build a lasting dedication to alumni who fought and participated in World War I and World War II. SDS School Records Management can archive all manner of materials, including complete year books, journals, photographs, registers, military and community records, letters, Rolls of Honour, diaries, memorabilia, ephemera, OTC/CCF Records, news cuttings, personal memoirs, and even film and Magic Lantern slides. From this source material, SDS can produce either a basic package, which contains all the scanned documentation, indexed, and searchable via a bespoke database; or a more advanced online solution with varying degrees of visitor interactivity (including calendars, featured articles, blog and comments areas). Our archives provide pertinent historical information for today’s generations, and commemorate the memories of soldiers who fought in the Great War with a dedicated historical archive.